Image from the Qu8k rocket. black squiggle down the middle is molten polymer residue from the camera shield that melted from the intense heat of breaking Mach 3 (Credits: Steve Jurvetson/Flickr). Space, formerly the preserve of governmental institutions and the occasional wealthy space tourist, is becoming increasingly accessible to the general public. From suborbital flights to complete satellites, recent years have witnessed the development of commercially viable alternatives to governmental programs– here you can find an overview of some of the latest trends. Used mostly for weather forecasting and scientific research purposes, high-altitude balloons have found their way into the hands of hobbyists and students as a cheap way to get to near Earth space. Equipped with GPS receivers and hand-held cameras and costing anywhere from a few hundred to a few thousand dollars, these balloons can reach altitudes of more than 30 km, enough to spot the Earth’s curvature and the blue haze of its atmosphere. Earlier this year, a video featuring a Lego figure holding a Canadian flag, taken on-board a $400 balloon through its 24 km ascent went viral and sparked several similar attempts. “We didn’t really believe we could do it until we did,” said Matthew Ho, one of the two Canadian teenagers behind the project. Harder to build and certainly more expensive, amateur-built rockets can reach similar altitudes – in October of last year, a homemade rocket reached 36km in a little over a minute and a half. The launch was an attempt to claim a $5,000 prize for the first rocket to reach 100,000 feet (approx. 30km), sponsored by John Carmack (co-founder of id Software and Armadillo Aerospace). Virgin Galactic, whose 110 km altitude flights still lie inside the suborbital range, has recently extended its services beyond space tourism when it announced a partnership with Nanoracks, a private company currently operating plug-and-play research payloads on the ISS’s U.S. National Laboratory and on the Japanese Kibo module. Hardware is flown to and from the ISS using several spacecraft, such as the Russian Progress and Soyuz, the Japanese HTV, the European ATV and, more recently, SpaceX’s Dragon. The partnership will enable Nanoracks to fly the experiment racks on SpaceShipTwo under a microgravity environment for a few minutes. NASA has already chartered three SpaceShipTwo flights. “The safety, flexibility, capacity and modularity of our new racks will make it easier for researchers to conduct cutting-edge experiments aboard our space vehicles,” said George Whitesides, CEO and President of Virgin Galactic. The twin-hulled plane used to launch SpaceShipTwo, WhiteKnightTwo, able to loiter at altitudes of up to 15km, is also planned to be made available for research purposes, according to Virgin Galactic’s press release. Blow-out of the STRaND-1 smartphone nanosatellite (Credits: Surrey Satellite Technology Ltd). Cubesats, small 10-cm cubic satellites, often built using commercial off-the-shelf (COTS) components and launched as secondary payloads, are also an increasingly common option. Usually the platform of choice for budget-constrained university programs, these are now being considered for use by agencies such as ESA, NASA, and the US National Reconnaissance Office for some of their future missions. 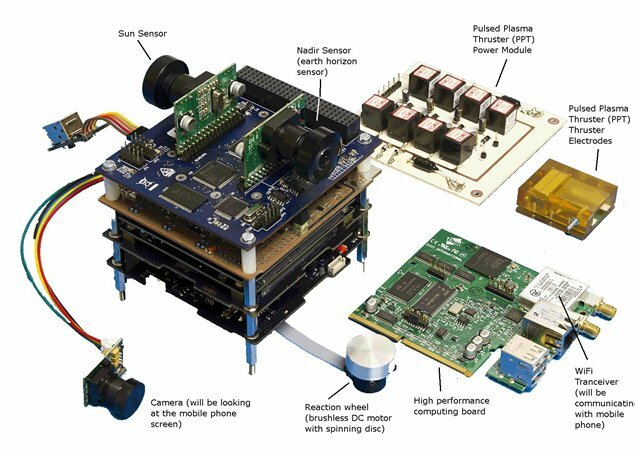 SSTL, the UK-based satellite company currently operating STRaND-1, a CubeSat built around a smartphone payload, is planning to follow-up with STRaND-2, a docking mission based on Microsoft’s touch-less game controller, Kinect. “It may seem far-fetched, but our low cost nanosatellites could dock to build large and sophisticated modular structures such as space telescopes. Unlike today’s big space missions, these could be reconfigured as mission objectives change, and upgraded in-orbit with the latest available technologies,” said Dr. Chris Bridges, Project Lead with Surrey Space Centre, SSTL’s partner for both STRaND-1 and 2. For those with space ambitions, but with no plans of building and operating their own spacecraft, NanoSatisfi has launched a Kickstarter campaign to build and launch a Cubesat equipped with more than 20 sensors that will leverage on the highly successful Arduino platform. Their goal is to allow people interested in running their own experiments to rent time slots to use the satellite’s capabilities, reducing the time and cost associated with space-based research. There is yet another side to the increasing access to space: governmental institutions are also becoming more open. Inspired by Google’s annual Summer of Code, where students are given the opportunity to work on a free and open-source software project, the European Space Agency’s Advanced Concepts Team has created SOCIS – Summer of Code in Space. The initiative, now it its second session, focuses on space-related open-source software projects. Meanwhile, NASA has been working on open.nasa.gov as part of its Open Government Initiative. Here, users can browse several engineering, science, and even institutional data sets, as well as download the source code to some of the applications used by NASA’s engineers and scientists, such its Orbit Determination Toolbox. 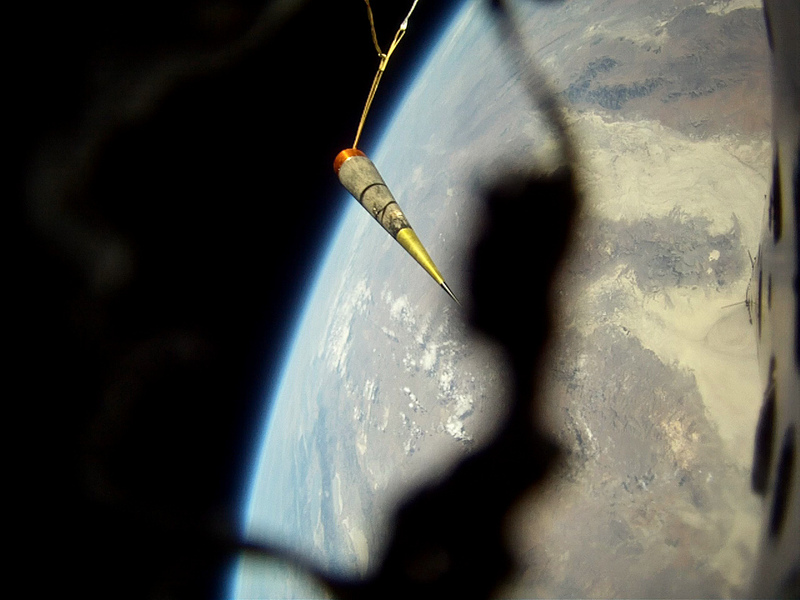 With more and more options to access space and its boundaries, from small do-it-yourself rockets and high-altitude balloons to complete satellites, space has never been as accessible as it is today. And with commercial ventures currently in development becoming viable, the future is pointing to an ever wider range of opportunities.